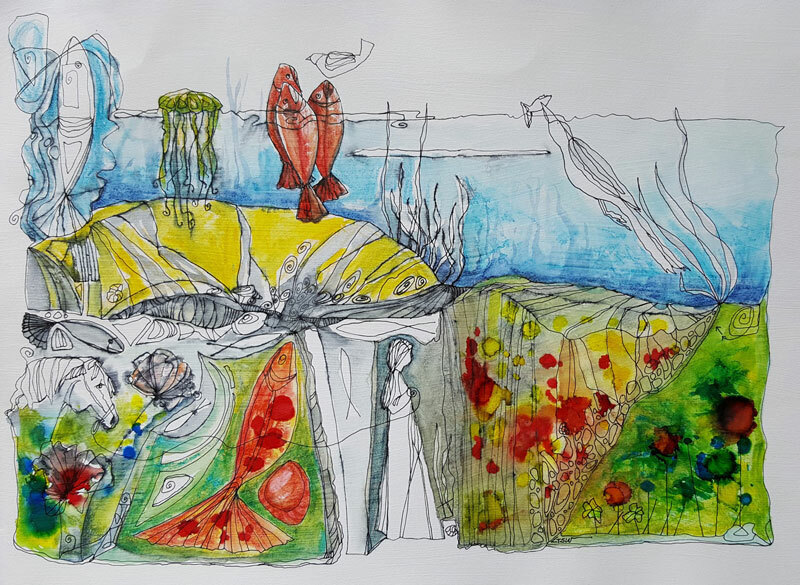 “Fisherwoman” (mixed media on cradled panel) – the Expressive Women of NAWA, a juried members exhibition at the Ridgefield Libray, CT.
“God Loves all of Her Creatures, even the Crazies” (watercolor & ink on paper) – Women Artists, Coast to Coast-East, a juried exhibition at the Prince Street Gallery, New York. 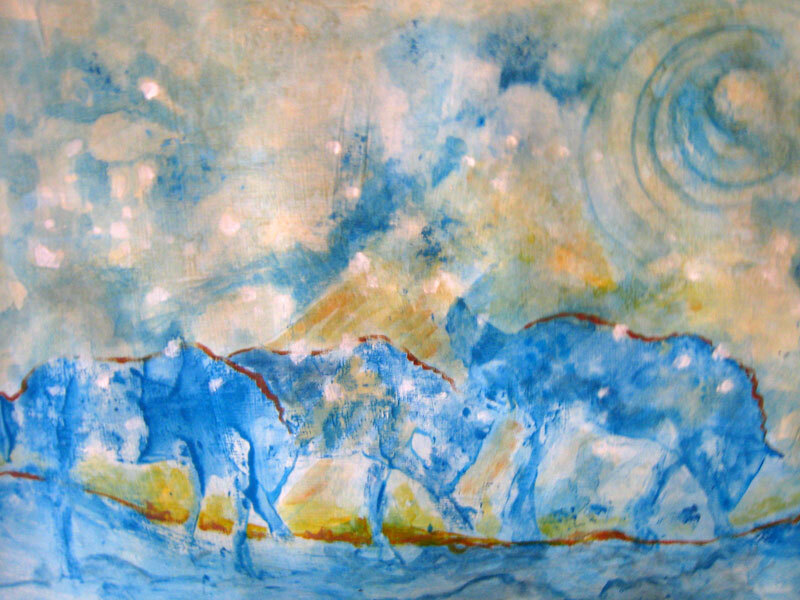 “The Sybils Await” – Ev(e)olution VII – Onward!, a juried NAWA members exhibition at the Riverside Branch of the New York Public Library. “Of Fish & Flowers” and “Beyond the Woods” and “Jubilee” juried into the Arizona Aqueous XXXI. Juror: Monica Warhol. November 1 – December 30. 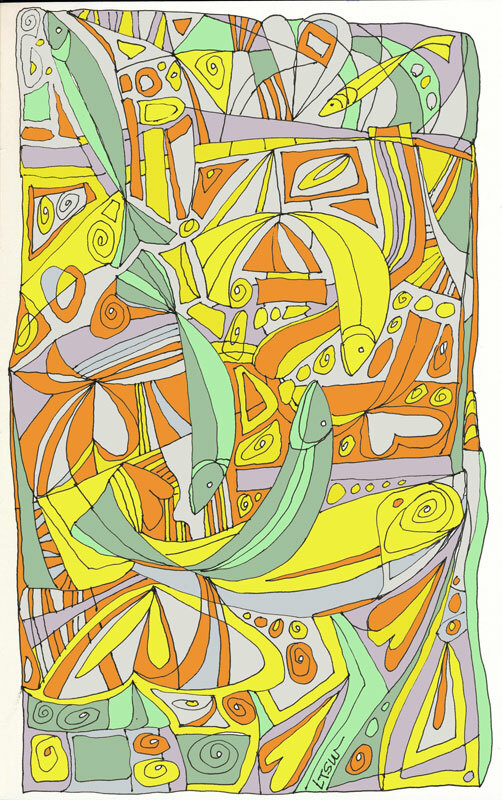 Celebration, a juried exhibition, NAWA at the Mulberry Street Library, New York. Women Artists – Coast to Coast – East. 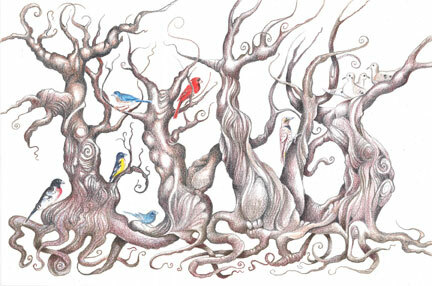 Dreaming & Twisted Trees. Seattle, WA. National Association of Women Artists (the N.A.W.A.) Annual Membership Show. New York. Jubilee. July 8 – August 19. NAWA Gallery. juried Summer Small Works Exhibition. Fish Trees. June 9 – August 28. 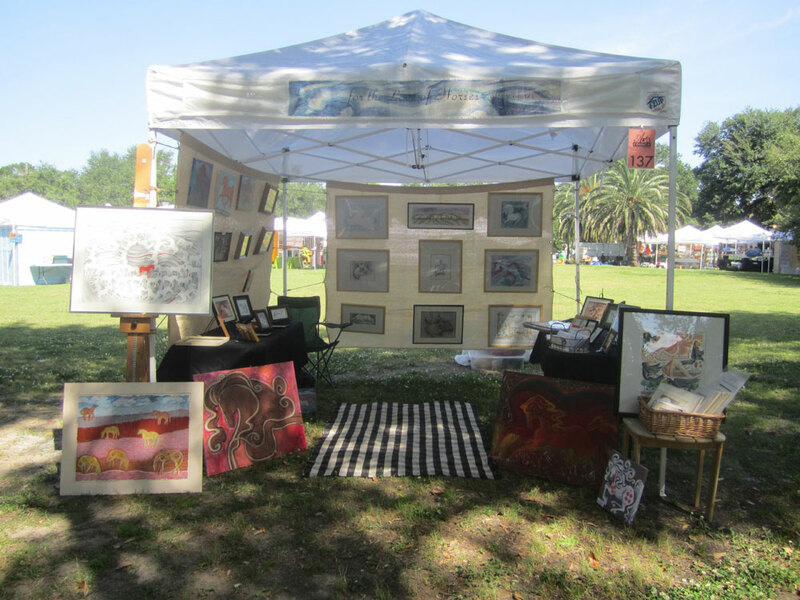 Western Federation of Watercolor Societies Exhibition (representing Southwestern Watercolor Society). Arvada Center, Colorado. Roughly Speaking. 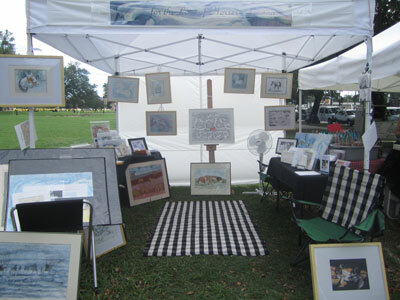 (135 paintings accepted out of 1,063 entries from 517 artists, from 12 watercolor societies). 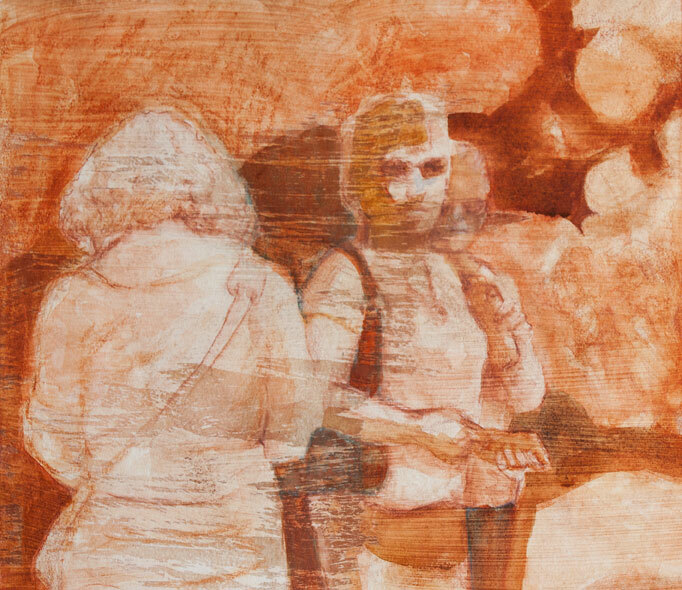 October 5 – November 22, 2015: Mississippi Watercolor Society’s 30th Grand National Exhibition. 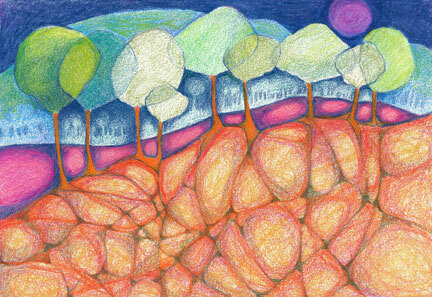 Reception: October 11th, 1-3pm, Arts Center of Mississippi, Jackson, MS.
March 10 – April 30, 2015: Six Views of Ireland, an exhibition of works by artists Linda & Bob Ward, Yvette & Doyle Jeter, and Judy & Bob Horne. At the Schepis Museum in Columbia, LA. 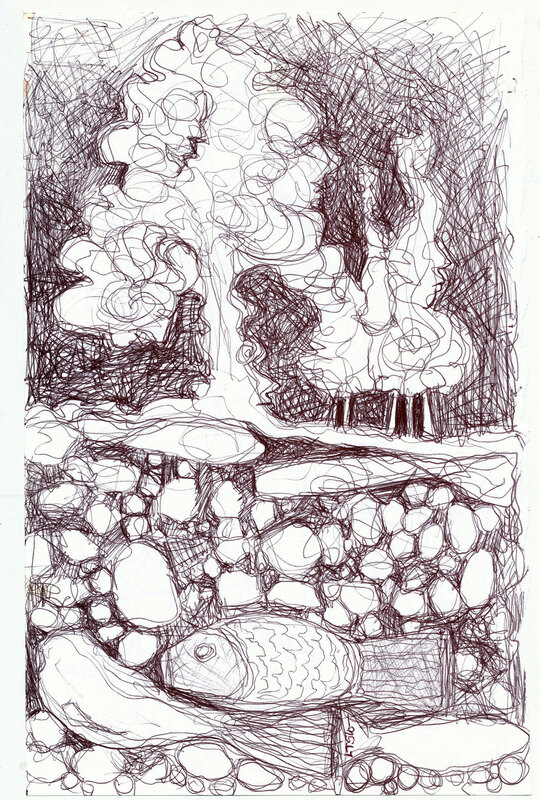 The closing reception is Thursday, April 30th, 5-7pm. 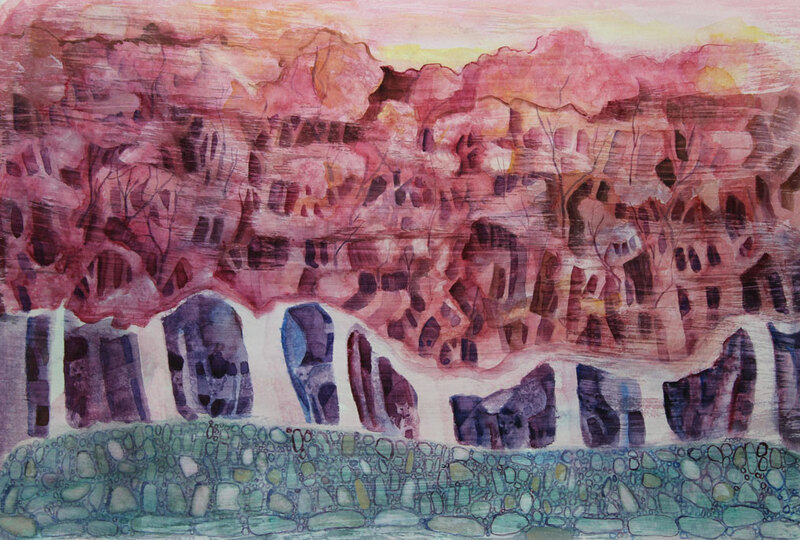 July 10 – August 30, 2014: Hard Winter (watermedia on paper) won the Clyde Connell Award at the 57th Hoover Watercolor Society show in Shreveport, Louisiana. After the close of the show, it traveled to the Michelson Museum of Art in Marshall, Texas and will hang through August. 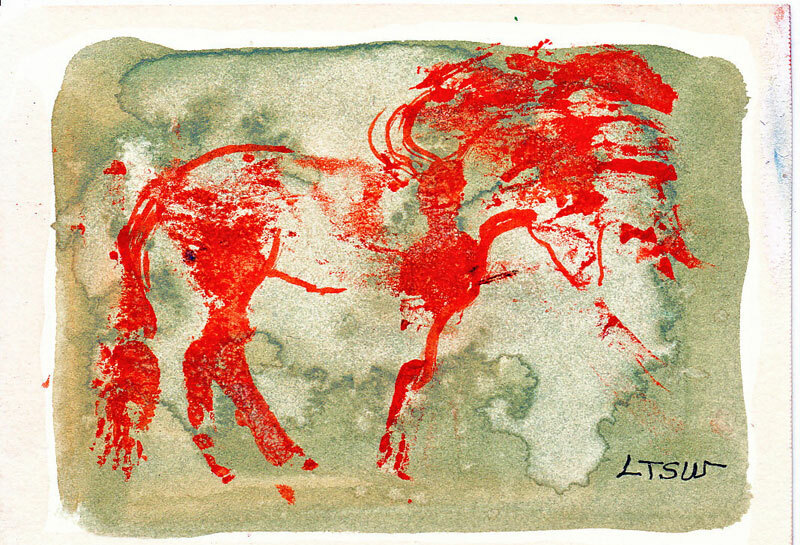 An exhibition of Linda’s artwork, Enter Equus, will be on display at the River Gallery, West Monroe, Louisiana, April 1-30, 2014. 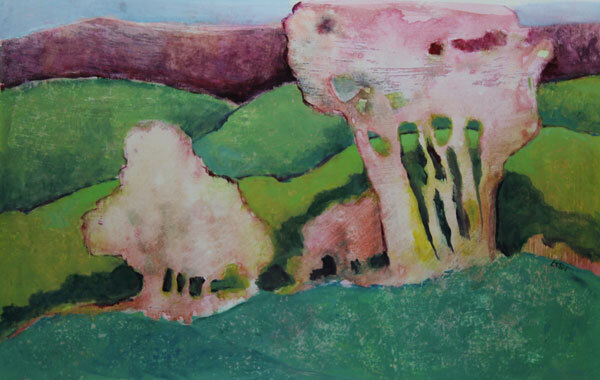 Linda will give a gallery talk during the Downtown Art Crawl April 3rd, 6:00pm at the Gallery. 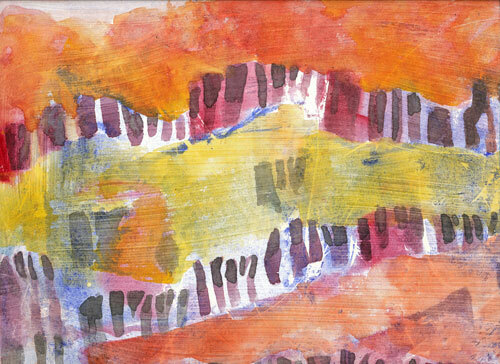 Art reception: Saturday, April 5th, 2:00-4:00pm at the River Gallery. 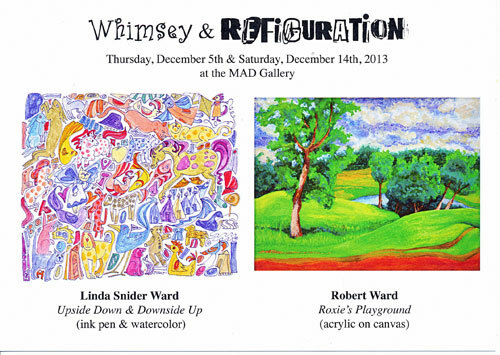 Bob & I have an exhibition, Whimsey & Refiguration, coming up at the MAD Gallery in Monroe: Dec 5th, 5-9pm (during the Downtown Art Crawl) & Dec 14th, 10am-10pm (in conjunction with the A Very Commander Merry Christmas). Music by Gray Matter. 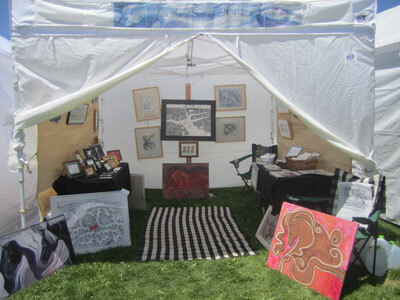 Tent in Evergreen, Colorado at the Evergreen Summer Fest (July 20-21, 2013). Lots of looking from the crowd but few sales.